Today's 'My Paris' features a fabulous place where you can have your shoes expertly repaired, altered or renewed...la maison Pulin. Pulin is a family business established in 1946, and the knowledge of shoe making and repair has been passed from generation to generation. Roger Vivier is one of many fashion houses who trust Pulin with their after sales services, and it was through RV I first came across Pulin. 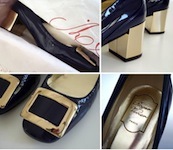 The did a fantastic job on resoling my Marlène and Belle Vivier pumps. and decided this time on rubber soles instead. Pulin is located very nearby the Rue Faubourg Saint-Honoré (in a little side street behind Madeleine), and so much more than just a shoe repair place. They also make made-to-measure shoes and alter your existing pairs, all done expertly by hand. 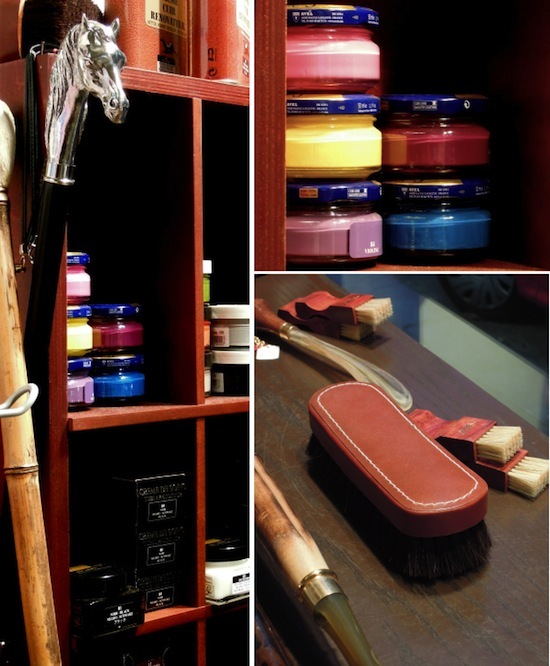 The small shop offers an array of shoe polish and brushes, laces, walking sticks, shoe trees and horns. and here both pairs, ready for a winter full of walking, rain or shine! The new soles, with a thickness of just 1.5 mm. For those who are living out of town but plan a visit to Paris, you can always send your boots and shoes to Pulin a couple of weeks ahead of your stay, and then pick them up when in town. Or, if you are staying for a week, you could drop them in on a Monday, and collect them by the following Friday. The cost of resoling both pairs was 88 EUR. On the map... a very short walking distance from Hermès and Roger Vivier on FSH.. It looks like a wonderful shop MaiTai. And I agree about the rubber soles for boots, so much better and safer for negotiating wet pavements! Sorry for not having commented for ages, but I've really enjoyed catching up on all your adventures! I love your new scarf and your last post with the two looks, as well as your autumn trip to Paris. Now I'm off to re-read all the posts I've missed! I love this post! I could spend weeks just watching the cobblers at work. Shoemaking and even repair is fascinating to me. I will have to visit on my next trip to Paris. Your boots look almost new again. Perfect! Monsieur is very charming and friendly, I am sure he'd be delighted to have you watch! MT, you are the best!!! You educate us on all the places that make life worthwhile and you find the most intersting people! The photos really do bring your words to life :) Based on the line outstide the shop, it looks like trenches are the next big thing! Finally, today my CLF scarves arrived...WOW. The colors just pop off the scarf! Are they using a different process? The stars look like they twinkle! So artfully done! AND...the 2012 ribbon is added bonus! I love putting these profiles together, so happy you enjoy them too. Many congratulations on your CLFs! Isn't it just wonderful how those twinkling stars end up around the neck... it's such a beautiful design. You make shoe polish and brushes look so elegant! I tend to have the rubber soles put on before I even wear my boots. Keeps them lasting a long time. Such beautiful work. Thanks for sharing with us! Oh do I remember slipping and sliding because of the soles! When I was a kid, I had a pair of sandals with a hard plastic heel that would skid along smooth surfaces, and at the shopping mall one day, my dad had to hold my arm so I wouldn't go splat on a routine basis. How funny that you should mention this in a blog right after I thought of that a few days ago. They certainly did a lovely job, and the price was fair. We were shoe twins as kids! LOL. What a sweet memory with your Dad though, I only remember a grazed knee.. Enjoy a lovely weekend! I agree with P, dearest MaiTai. Your blog is such a huge lesson on 'joie de vivre' and one of my most cherished daily breaks. Each post is so rich and inspiring and you, my dear, very sweet and kind. Have a lovely week ahead. Look forward to your return. Hugs to you too, M.
I love artisan shops like this, they are so special and so very rare nowadays. They are rare gems indeed. A lot of them seem to be tucked away in Paris, making the city so special and wonderful. 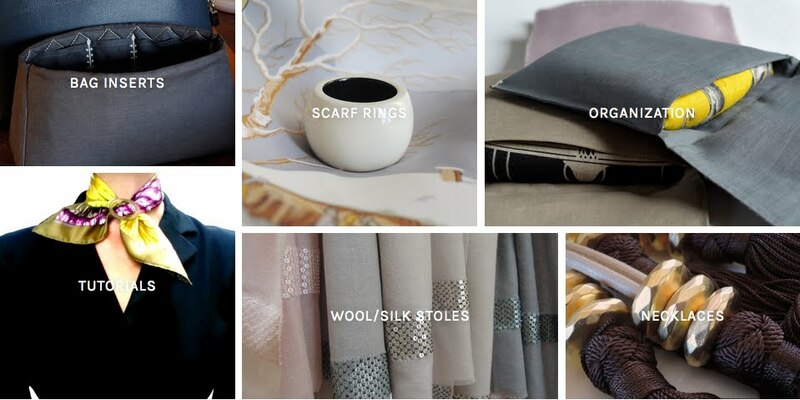 thank you for sharing your secrets with us, it's always really interesting to know the useful places to go to in order to have something fixed with top quality materials and elegance at the same time. As you know everything and anything about Hermes, do you by any chance know where the gorgeous jumping boots are produced? I know they are made in Italy, somewhere in the Veneto region, but maybe you know the place and the name ofthe producer? I doubt they'd take individual commissions, though. I luff it that you know all these secret gems. Congrats on the successful completion of your 'sole' project! Not only will your boots and shoes last forever,your feet will thank you,too,after a day of walking. I put these rubber soles on all of my shoes and boots before they ever hit the ground. My cobbler is very talented. Unfortunately, he does not possess the charming smile of your man. Thank you again for yet another great address. Beautiful workmanship and excellent price - 1/3rd of the cost of Zurich! so I will def be taking my shoes to Paris the next time I go there. Thank you also for having the discipline to continue with your blog, I have learn't SO much from you and it is so kind of you to share so much. 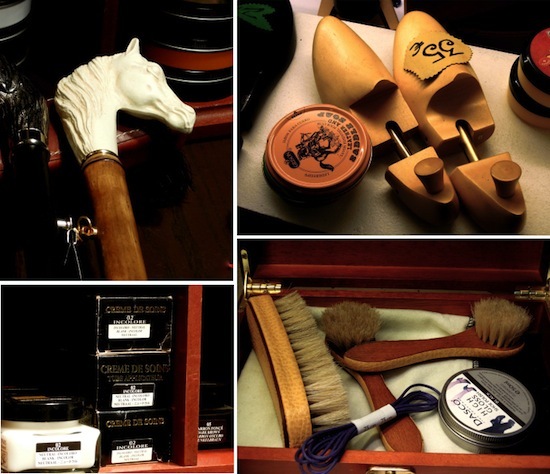 Thank you for sharing this wonderful place for shoe care. We need more like this, I am looking at the Saphir cream which one is it exactly there are two similar one's? Dear Carla, the one I have is called Creme 25 (based on shea butter), and the label also says 'Medaille d'or 1925 Paris', hope this helps! What good timing for this post. I have a new pair of Jumping Boots on hold at Hermes and have been on the fence about purchasing them. Have your boots been able to stand the rain? Does the very stiff back just above the heel break in over time? How long before you had to re-sole your boots? Where I live, it does not rain very often, but I wear my jumping boots in all conditions and have not had any problems. They will of course get wet when it rains, but if you add rubber soles, at least the moisture won't get through. It is very important to nourish the leather regularely, particularely if they get soaked often. Re the heels, they do soften over time. Mine took a while though, but are comfortable now. It may help to know that these are actual riding boots (the heel needs to move up and down while jumping). Good luck! Thanks. How long did your soles last before you needed to replace them? It all depends how often you wear them. The black pair got a lot of wear in the first winter, so I replaced the soles and heels in the following year. These were leather soles, though. I am using rubber soles for the first time, and have no experience yet how long they last. I am eager to learn how rubber soles have lasted ? Incredibly well. So far, there was no need to replace them. Thank you so much for sharing your information of the care of your jumping boots! Maybe I have the same question as Carla about the Creme 25 Medaille d'Or from Saphir; which one do you use for your mocca ones, the Pommadier creme or the Cordovan creme and did Monsieur recommand the dark brown color or the colourless one? There is no info marked on the jar, but after a google search it seems that mine is the Pommadier (shea butter based), whereas the Cordovan is 'Neat foot oil based'. I wanted the color of my boots to deepen and darken, and with Monsieur's help decided on 05 (marron foncé). Thank you dear Mai Tai for your quick and useful answer! Wish you and your family the finest of life, love and friendship this holiday season and throughout the New Year! Warm regards from The Netherlands. Glad it was helpful :-) Wishing you a most wonderful and happy New Year too!